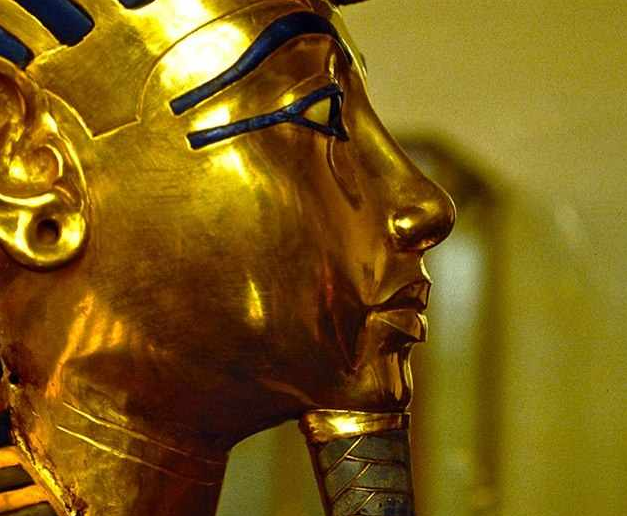 The Associated Press has reported that the the famous King Tutankhamun’s Mask was damaged and repaired hastily with basic tools. According to the report, the beard on the Pharaoh’s mask was detached during cleaning at the Egyptian Museum in Cairo and was “hastily” glued back on with epoxy. Meanwhile, according to Al Araby Al Jadeed, the mask was damaged by Museum employees and the damage was not reported to the Ministry of Antiquities. The Associated Press reported that sources, who spoke on the condition of anonymity for fear of reprisals, confirmed the damage but did not clarify whether it occurred in 2015 or 2014. 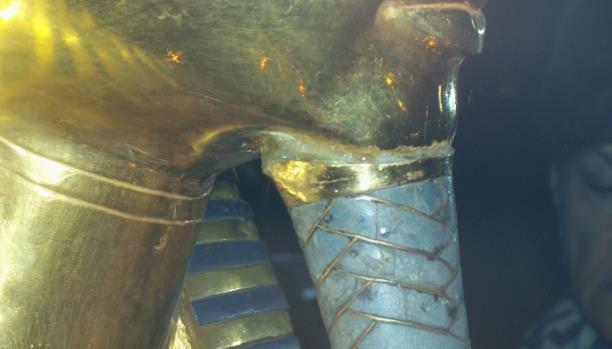 “Unfortunately he used a very irreversible material — epoxy has a very high property for attaching and is used on metal or stone but I think it wasn’t suitable for an outstanding object like Tutankhamun’s golden mask,” said one conservator who works at the museum. “The mask should have been taken to the conservation lab but they were in a rush to get it displayed quickly again and used this quick-drying, irreversible material,” added the conservator, saying that there is now a layer of transparent yellow between the beard and the mask. The mask in an official photograph. Another conservator told AP that a museum employee attempted to remove the epoxy with a spatula, leaving scratches on the ancient mask. If reports by the Associated Press are true, it remains to be seen what action the Ministry of Antiquities will take. The Egyptian Museum in Cairo has often been accused of being run negligently. Just weeks ago, the government announced renovations of the Museum would commence. 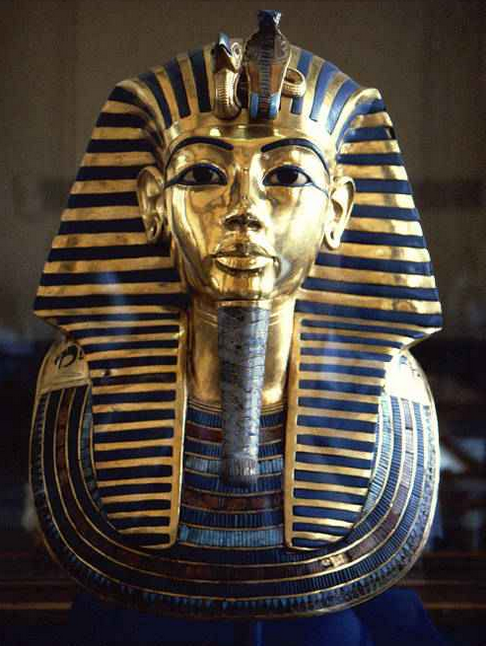 The Mask of King Tut is made of gold inlaid with coloured glass and semiprecious stone. The Pharaoh ruled during ancient Egypt’s 18th dynasty more than 3,300 years ago.